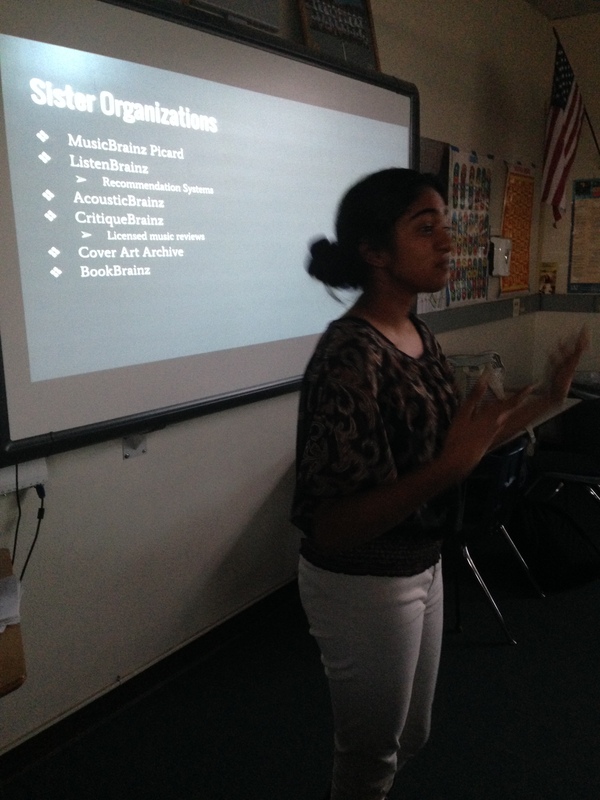 Indian student Rayne presenting MusicBrainz to her classmates. In all we had 275 tasks completed during the Google Code-in. These tasks were divided among the various MetaBrainz projects as well as a few for beets. We ended up having 29 tasks done for BookBrainz, 124(!) 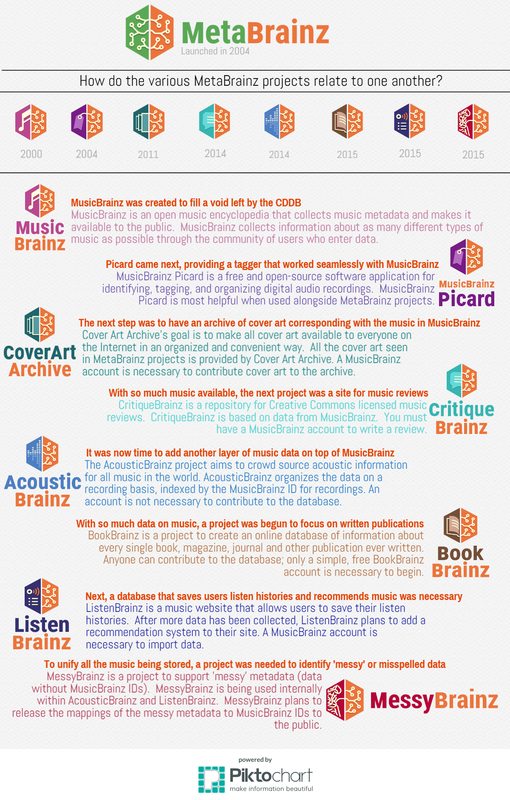 tasks for CritiqueBrainz, 95 tasks for MusicBrainz, 1 task for Cover Art Archive, 6 tasks for MusicBrainz Picard, 3 tasks for beets, and 17 generic or MetaBrainz related tasks. Finalist Nurul Ariessa Norramli’s MetaBrainz infographic. A couple of YouTube introduction/tutorial videos. There are a couple more we didn’t make available yet, but a huge thanks to Caroline and JefftheBest for creating these! In all, I’m really darn happy with the outcome of this Google Code-in and how some of our finalists continue to be active on IRC and help out. 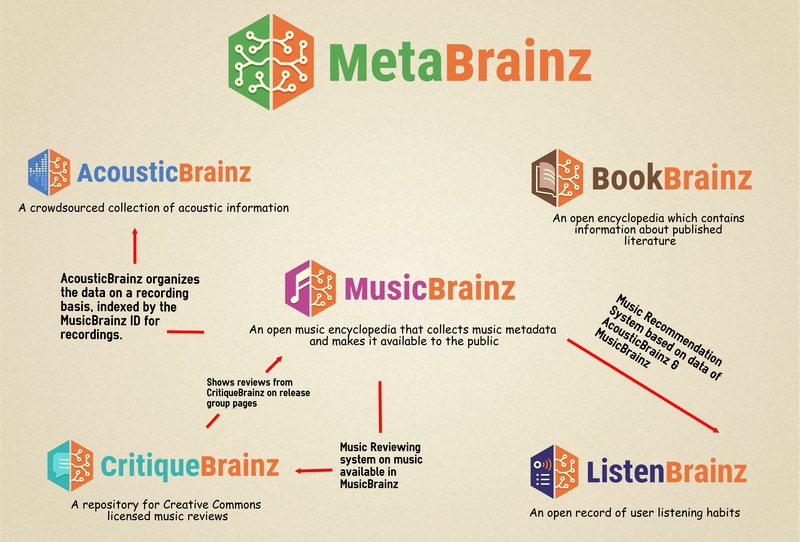 Stanisław is continuing work on BookBrainz, including having started writing a Python library for BB’s API/web service, and Caroline is currently working on a new icon set for the MusicBrainz.org redesign that can currently be seen at beta.MusicBrainz.org. Again, congratulations to our winners and finalists, and THANK YOU! to all of the students having worked on tasks for MetaBrainz. It’s really been an amazing ride and we’re definitely looking forward to our next foray into Google Code-in! 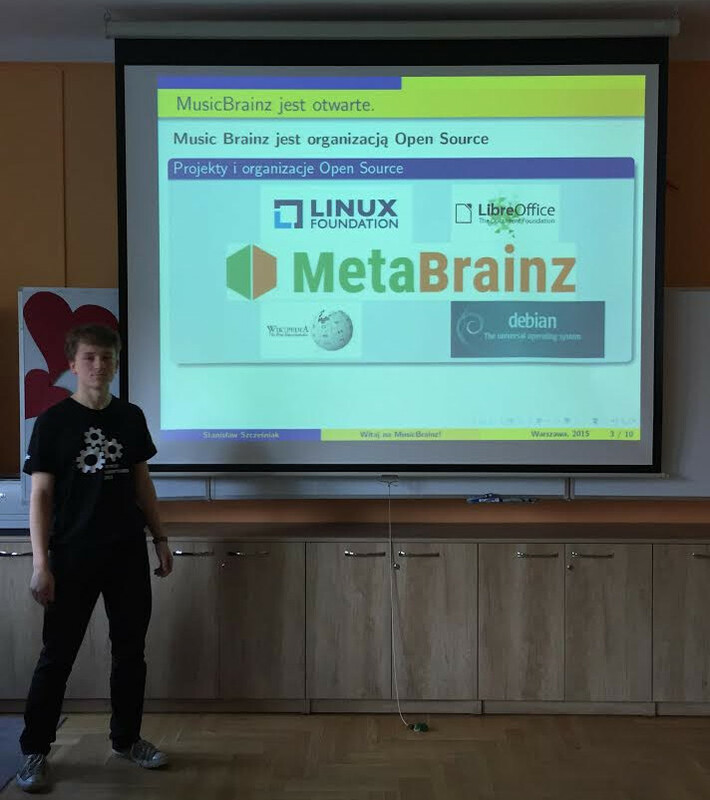 Polish student Stanisław Szcześniak presenting about MusicBrainz. 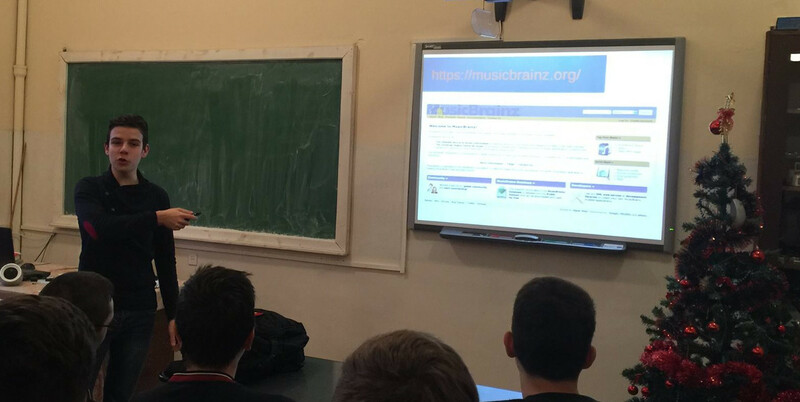 Romanian student Borza Alex presenting MusicBrainz to his classmates.